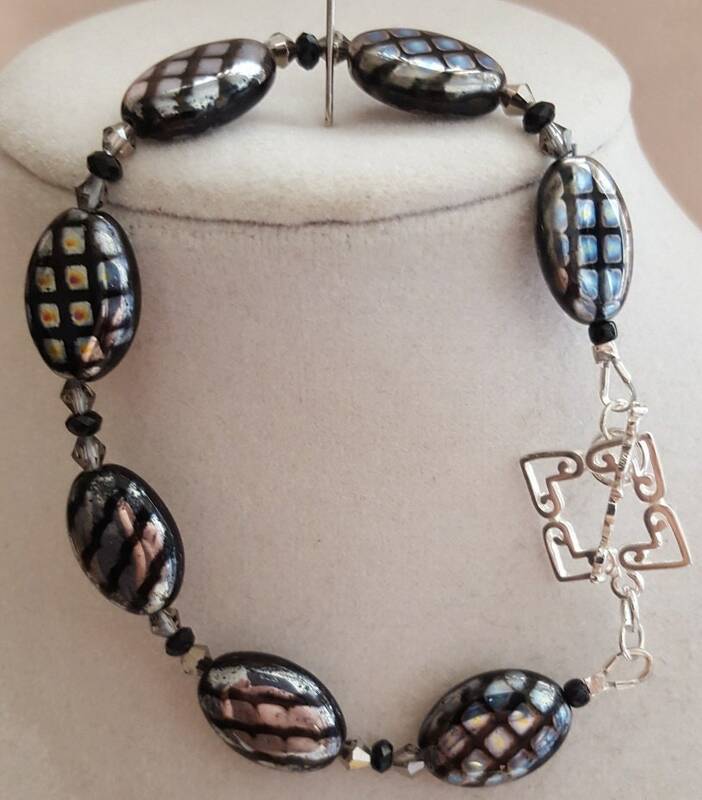 Oval peacock beads in black and silver with swarovski accents. Plated sterling toggle clasp. 7 1/4"